It's been a great year, thanks to you. We have come to the end of our second full year of activity. In 2016, we significantly deepened our work. We couldn't have done it without your support. The Foundation built an evidence base about the different places where it works, to get a real sense of social attitudes towards, and experiences of, homosexuality – and to understand how gay, lesbian, intersex, and transgender groups are organizing to change this reality. 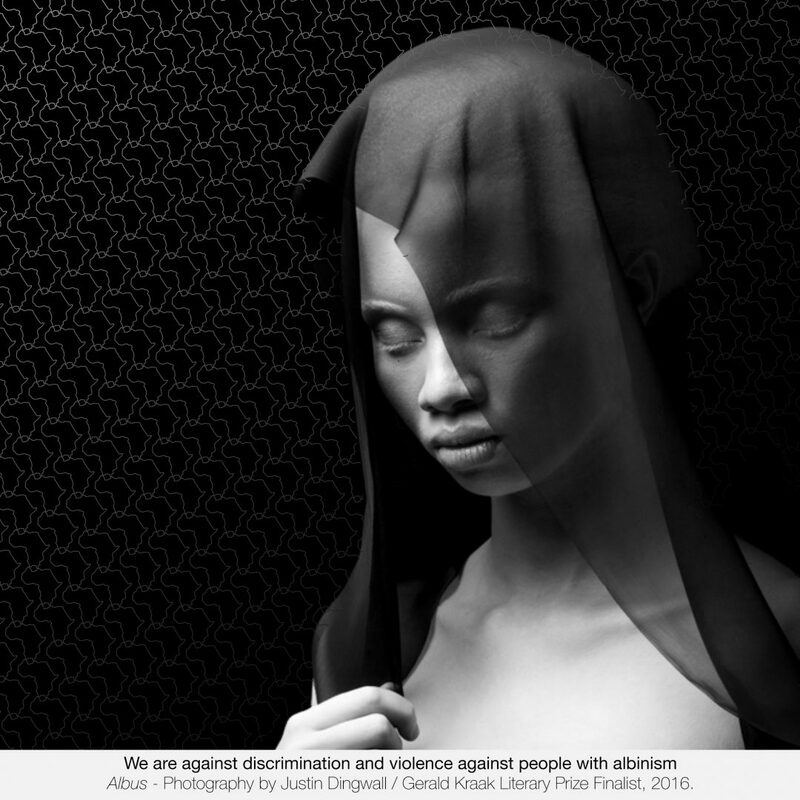 The Foundation published Progressive Prudes, the first nationally representative survey of public attitudes to LGBTI people in South Africa, and Canaries in the Coal Mines, an analysis of spaces of LGBTI social exclusion and for LGBTI activism in Angola, Botswana, Lesotho, Malawi, Mauritius, Mozambique, Namibia, Swaziland, Zambia, and Zimbabwe. practical strategies were developed to enable church groups to counteract homophobia within and beyond the churches in our region. This included the development of theological perspectives, reflections on the use of appropriate language, the development of tools to facilitate direct engagement between LGBTI people and church leaders about the lived experience of LGBTI people, and the use of liturgy and the arts. A high point in the convening was when Edwin Cameron, Justice of the Constitutional Court of South Africa, gave the inaugural Eudy Simelane Memorial Lecture that was hosted by the Ujamaa Centre at the University of KwaZulu-Natal's School of Religion. Despite being a national sporting hero, Eudy Simelane lived in poverty and was daily exposed to danger. Eudy Simelane: A Life Cut Short, the documentary video that we produced about her life and death, was screened at the lecture. We again supported the Feather Awards this year. Eudy Simelane's parents who have become public advocacy champions for LGBTI equality and freedom, accepted a Feather award in her honour. LAMBDA, Mozambique's national LGBTI organization, received the 2016 African Feather award. Our LGBTI business working group established PLUS, the LGBTI business network for South Africa. You can watch a great panel discussion involving EY, Shell, Accenture, Norton Rose Fulbright, and our international partner, the US National Gay & Lesbian Chamber of Commerce (NGLCC) at the first PLUS public event that was held in Durban. The judges for our inaugural Gerald Kraak literary prize, Sylvia Tamale, Eusebius Mckaizer, and Sisonke Msimang have selected the finalists for the prize and we are looking forward to the announcement of the winner and the publication of an anthology including the entries of all the finalists in 2017. This work is being done through our excellent partnership with the publishing house Jacana Media. Two of our major mass media partnerships were rolled out this year, with the Mail & Guardian newspaper and City Press newspaper. More are to come. Our Facebook community grew to more than 65,000 followers, and we significantly grew our Twitter reach. We also significantly expanded our programmes team, with several new members recruited to the team – and we moved to new offices in Rosebank, Johannesburg. We have set up our space to be a place where the groups that we support can stop by and feel at home. Many grants have been given this year – mostly to lesbian and transgender groups – bringing our grant allocations to about R12 million. Our A Million Ones initiative gives real expression to our identity as a community foundation. Thirty-two fundraising dinners have raised R448,950 for us to give out in grants, from pledges as little as R1. Thanks to the 312 friends and supporters of the Foundation who hosted and participated in the dinners. We invite you to make giving part of your new year's resolutions. Sign up to host your own A Million Ones dinner with your friends. On behalf of the LGBTI communities that we support in southern Africa, thank you for enabling us to be a stronger resource for the community, in 2016. Copyright 2016 - The Other Foundation. All rights reserved.